I am a retired public school music teacher. I also have an affinity for a good 1911 – I’ve owned several. But, when you combine these two facts, it fairly well defines the type of 1911s I’ve been able to own – the budget variety. I got really good at selecting good-shooting 1911s that cost a modest amount of money. There are many top-end guns out there that I would have loved to own, but I was always happy with my choices. The purpose of this article is to look at some of those lesser-expensive guns and figure out which ones are the best buys. Remember, cheap in dollars doesn’t always mean cheap in construction or features. The way I see it, we have three categories or tiers of 1911 pricing. There is what I am calling the budget series, generally priced around $400-$500, give or take. Then we have the more-expensive standard production guns costing from around $500 to around $1200 or so. At the top of the list are the full-blown custom jobs that can go for any price north of $1500. Where did I get the price break-downs? I spend a whole lot of time reading gun magazines and checking guns out online, so I know where the price breaks tend to be. 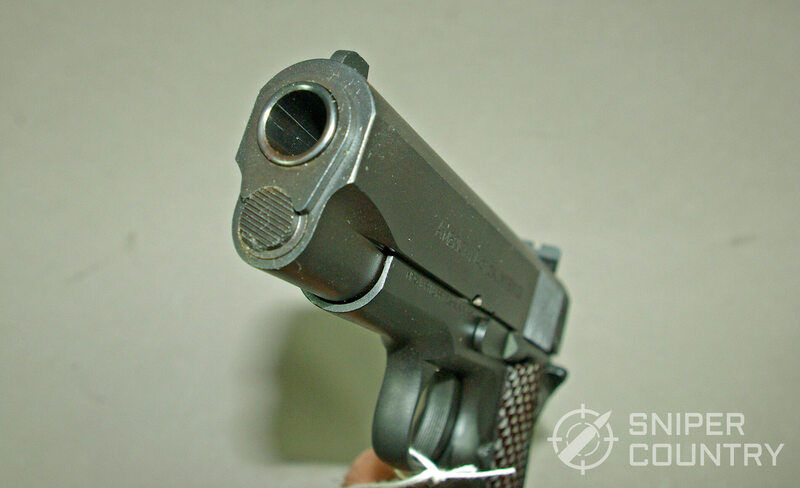 Of course, this is strictly my opinion – I haven’t found a website that defines exact price points for 1911s. I also have a working relationship with my buddy Duane who runs a gunshop and spend a fair amount of time talking to him. He sells a lot of guns and I have come to formulate these price break-downs over several years of seeing what he sells and picking his brain. So, your criteria may be different but for the sake of this article, we’ll go with these price points. Always remember that you get what you pay for, but these guns tend to “shoot above their price point”. Should you wait and spend a little more on a gun that costs around $1,000? Only you can answer that question. If you are wanting to join the 1911 fraternity for the first time, these guns should work well for that purpose. As with most any other product, 1911s tend to fall into what I call the old Sears “good-better-best” categories. Budget guns here would be in the “good” range, pushing into that “better” group. In terms of construction materials and close tolerances, etc., the Ruger wins. It is not priced around that $500 window that the others are but I wanted the reader to have one choice that was a cut above for comparison purposes. As for the “best” 1911s, you can pay upwards of $3,000 for a custom-built gun made by a company that only makes such guns. They are truly wonders to behold. However, for the majority of shooters out there who will not be competing at the top levels, a lesser-expensive gun will work. 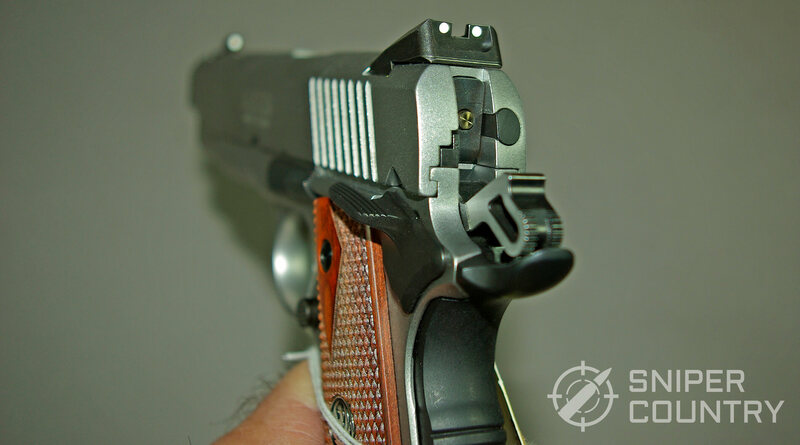 Another consideration to be made is what caliber to buy (Handgun Caliber Guide). 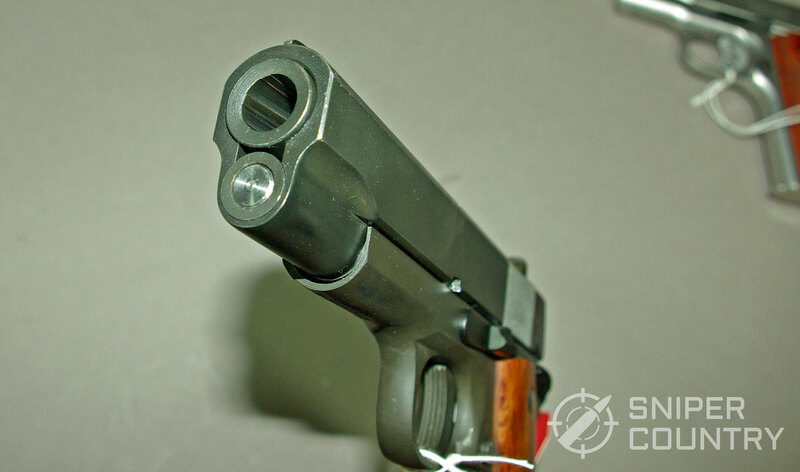 1911s first were chambered for, and are known for, shooting the .45 ACP. There are many, many guns out there that are chambered for that round. The new trend, however, is to chamber these guns in other calibers such as 9mm and its larger cousin, the 10mm. You could pretty much always get one in .38 Super (since its introduction in 1929) and that is a great round. Its popularity has been eclipsed a bit by the other two rounds mentioned, but there are plenty of competitors who use it and love its softer recoil coupled with its tendency to make major power factor in competitions. Many buyers will have a “family” of 1911s, one in .45, one in 9mm and now one in 10mm, With the 10mm in a 5-inch 1911, you have a potent package for deer or hog hunting. I don’t want to spend a lot of time discussing which caliber is best for which purpose…there is a lot of information on the internet about this matter. The only reason I mention calibers is to try to help dispel the mindset that older shooters like me tend to have that the 1911 is forever married to the .45ACP. There are other great options out there in terms of caliber. What are some of the differences between a lesser-expensive gun and its top-shelf cousin? Let’s look at some of them. (As usual, there are exceptions. Here are some general areas that help show the differences in the way a lesser-expensive gun and a more-expensive gun is made). These differences are very generic and can vary greatly with each gun. I’ve seen some budget guns with a very nice polish job, and some expensive ones with less-than-adequate prep work prior to finishing. The point is that, generally speaking, you tend to get what you pay for with a 1911. More important questions might be – does it run without fail? 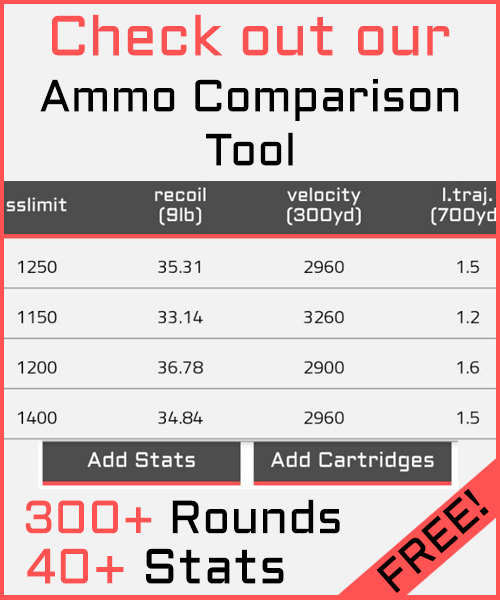 Is it reliable with your chosen ammo? Has the gun held up over the years? How about the finish? 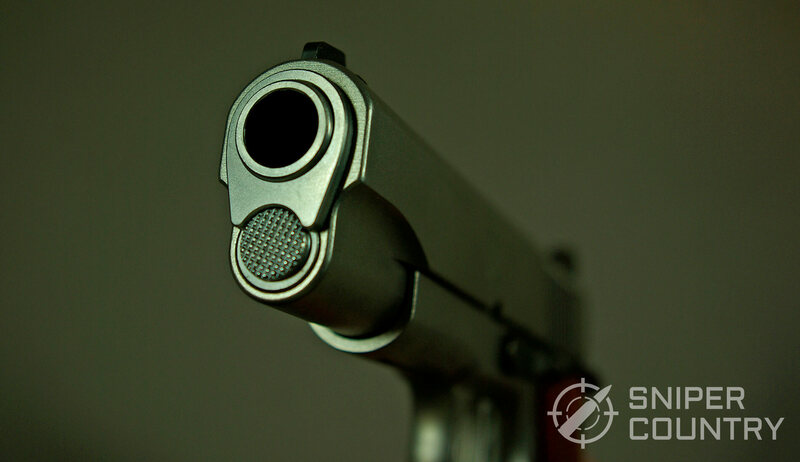 If a budget gun answers these questions with positive results, then the gun is worth keeping. These are the ones that stick in my memory. To be honest, I’ve owned and traded or sold more guns than I can remember, so there may be another one or two that should be on the list. Of the ones listed, the Colt would not qualify as a budget gun but the others would. The Colt gives me an interesting example to compare the others against. To be honest, except for the Llama, I didn’t see $400 worth of difference between the Colt and the Rock Island Armory guns. The finish was better, to be sure, and there was more hand-fitting (very close tolerances). But, when shot, all the guns were accurate and reliable. Does that mean that, if I could own either, I’d choose a budget gun over a Colt-quality model? I doubt it. There IS a difference; it’s just that I’m not sure that there was that much of a difference (the Colt was $400 more). To be sure, a well-built gun just feels a bit different in hand but not all of us are able to plop down the price of a higher-end pistol. Here’s where the others on my list came in. Except for some pin issues with the Llama, all the guns were reliable and held up well. The Taurus had to go back to the mothership once for a repair, but it came back fine. On a teacher’s salary, I was darn glad to get the guns I did and I enjoyed reloading for and shooting them. Let’s categorize the 1911. When it first made its appearance in 1911 (read about the 1911’s history here), the 1911 was revolutionary in that it was the first semiautomatic pistol adopted for military service by the U.S. The gun was only factory-available in its full-size, 5-inch incarnation for many years, until Colt brought out the Commander in 1949. This was an aluminum-framed, 4.25-inch barreled gun. A couple of years later, they made the frame out of steel and called it the Combat Commander. Capacity on both was 7 rounds (military) or 8 (commercial), the same as the full-sized model. Let’s see…a shorter barrel with a full-size frame…where have I seen that recently? Oh yeah…the Glock 19x/45, the Sig P320 X-Carry, my Springfield XDM compact with the extended magazine, etc. …it seems to be a popular concept. Colt was among the leaders in that arena. An aside about carrying one of these long-grip-short-barreled guns…The short barrel/full-size frame is popular but for concealed carry, it’s backwards. The grip is what prints, or shows through clothing – not the barrel usually. With a longer grip frame, you need a holster that pulls the gun in tightly against you. This is just an observation, one based on experience. So we have the full-size Government model, the Commander-size model and what Colt calls the Officer’s Model. This was an abbreviated frame (six-round capacity) with a 3 ½ inch barrel. It was designed to be presented to General Officers in the Army and Air Force in 1975. Not available to the public, it wasn’t until 1985 that Colt released it for commercial sale as the “Colt Officer’s ACP.” It is still available. To be sure, Colt’s nomenclature has stuck with the 1911s. A full-size, 5-inch gun is generally referred to as a Government model. A barrel less than five inches but at least four inches long results in that gun being referred to as Commander-sized, and anything less than four inches earns the Officer’s Model sobriquet. So, you can check across brand lines and at least have an idea of what that company is describing in regards to specific barrel lengths. Alright – now that we have some background on 1911 sizes and build qualities, let’s look at some specific guns. Before we do, pricing needs to be clarified. Most of the guns I’ll list will have MSRP pricing over the +/- $500 price I set but real-world prices tend to be at or below that limit. 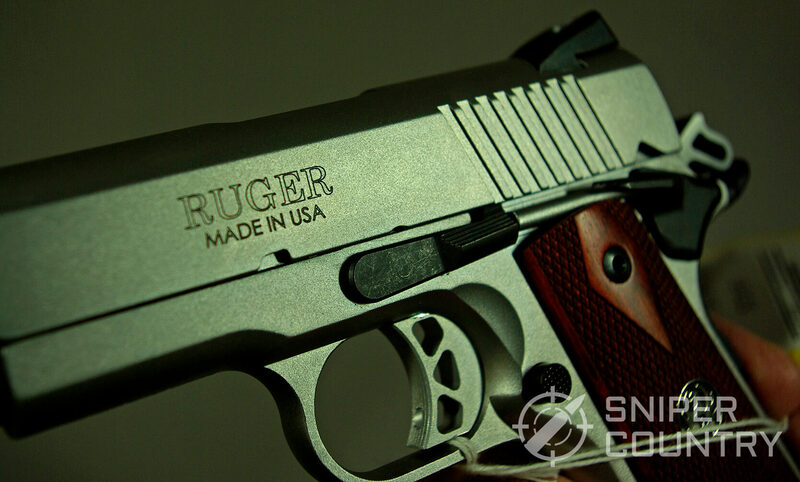 Ruger, the Prescott, Arizona-based company that is the largest gun maker in the U.S. This is a relatively short list of 1911 makers but I think everything we need is within this list. Guns from all of these manufacturers except Ruger have a real-world price of around $500, and the build quality is good for that price range. Let’s look at some basic specs. Being 1911s, a lot of the measurements will be very similar, with only additional features and manufacturing processes and materials being different. Here is a chart that will allow you to compare guns at a glance. The Rock Island Arsenal (RIA) 1911 series is very deep, with many variations. I have chosen a lesser-expensive model to feature, given the nature of this article. A look at their website reveals a lot of 1911s, available in several calibers. For those of us on a budget, a RIA pistol makes a lot of sense. I have owned two of them, a short-barreled tactical model with all the bells & whistles and a full-size gun. The full-sized gun said “Citadel” on the slide but it was made by Armscor and at that time was essentially equal to if not a small notch above the RIA-marked guns. So, I’ve had some experience with the company and its customer service. An example of that service involved a missing ambidextrous safety on the shorty gun. It was advertised as having the dual safety levers but mine came with just the usual left-side lever. I’m not sure if someone shipped the wrong gun or how it happened, but they fixed it. One call to Ivan at RIA U.S. headquarters in Pahrump, Nevada got me the parts I needed in the mail that day. I also got an extra recoil spring and other goodies. This, in my book, is a perfect example of how a company should respond to an inquiry from a paying customer. 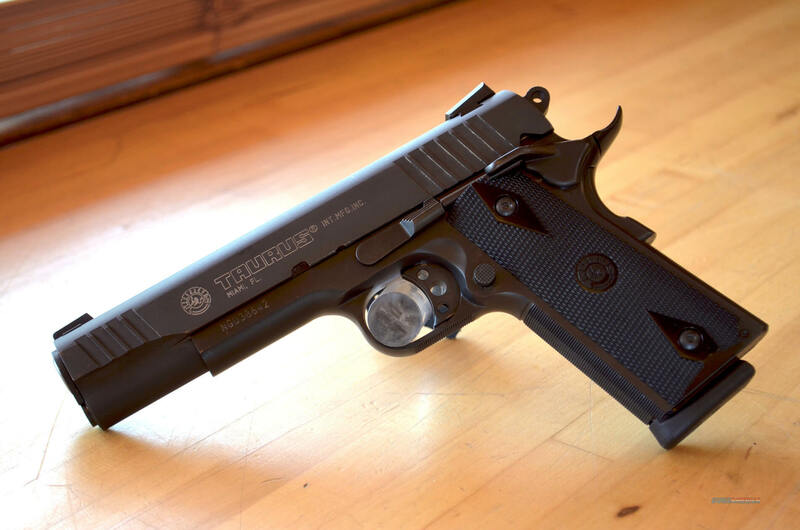 This gun has what you need to get started in the 1911 business… a full-size barrel, a decent trigger, usable sights and is reliable with different types of ammo. I have to recommend these guns if for no other reason than they worked well for me. I have described the “base model” 1911 from RIA. As I said, one glance at their website and you will see many different levels of features and extras. I was at my friend Duane’s shop yesterday and he had just gotten in an upscale Tactical model with G10 grips, forward slide serrations, ambi safety, Picatinny rail, fiber optic front sight, the whole nine yards. You might think that a gun such as this would cost well over $750, but his price on it is $659. My point is that, whether you want something fairly inexpensive to keep in your vehicle or are looking to get into some serious shooting events, RIA has the gun for you. 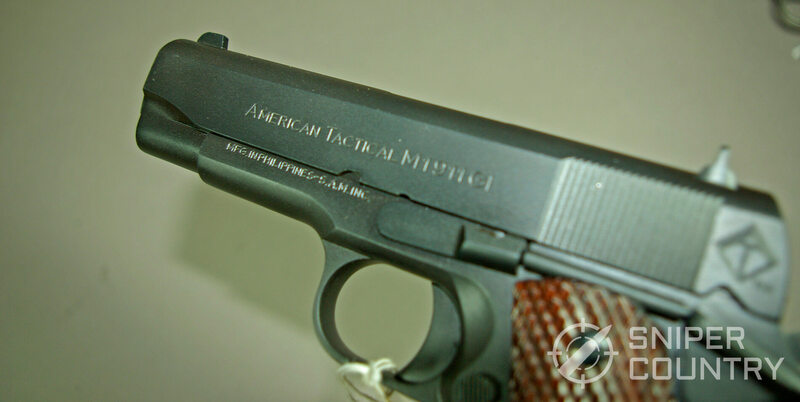 For more on the history of Armscor, read my 1911 article here. If you’re looking for a decent 1911 without spending a lot of money, check out the RIA line of pistols. The G.I. version of the 1911 still lives. Although not used by the military anymore, the stock G.I. 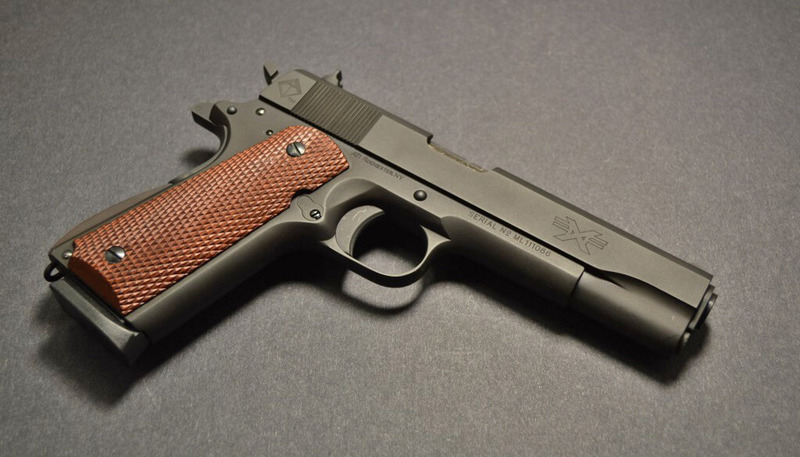 gun is prevalent on our list of budget 1911s. Why? The standard version has simpler sights and fewer bells and whistles than its more-expensive brothers and are therefore cheaper to produce. The ATI does have a few improvements that make it easier to operate. The ejection port is made slightly larger to facilitate easy ejection of a fired case. 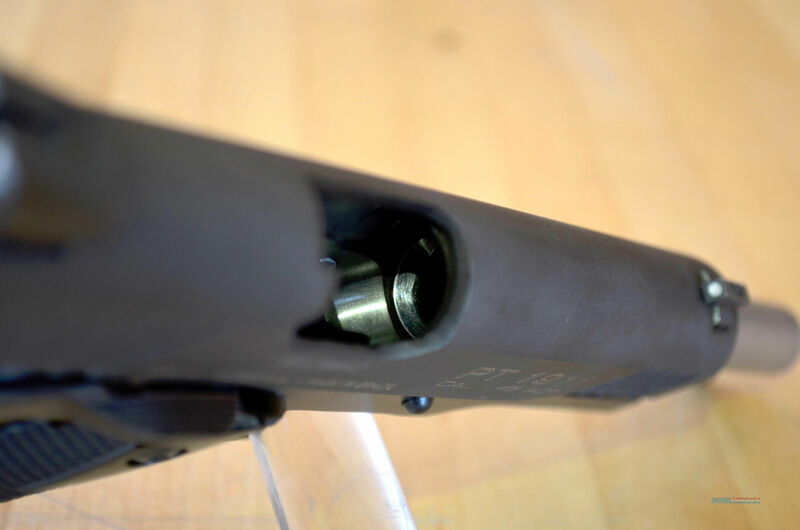 Sights are drift-adjustable (rear) and are larger than those found on a stock G.I. model. The hammer is of the rounded Commander-type, which helps do away with “hammer bite” from the hammer digging into the web of your shooting hand on recoil. This is also helped with the addition of a beavertail safety. 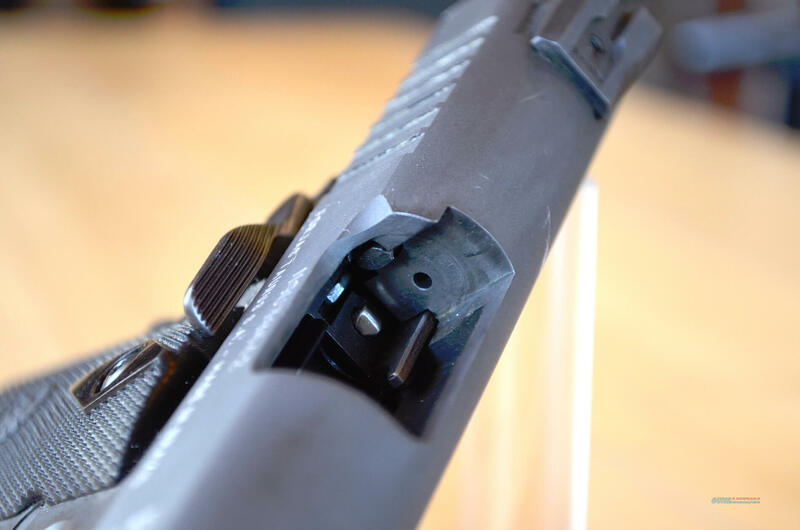 The magazine includes a bumper pad so it’s less likely to be damaged when ejected from the gun. Also, judicious use of +P ammo is tolerated. The ATI gun looks like someone took the old original warhorse and, while keeping its lines and general appearance, upgraded some areas that make it better to shoot without adding much to the list price. This gun is particularly good with 200-grain JHP ammo, something that not all G.I. versions can claim. If you are wanting a more-or-less faithful copy of the G.I. model, check the ATI out. The gun’s finish is really nice (it is also available in hard chrome and DuoTone for a little more money), with a decent blueing job and no machining marks. Reviews about this gun are consistently good. This gun seems to fall into what I call the Goldilocks category – not too cheap, not too expensive but with enough features and build quality to separate it from others in the crowded 1911 budget market. If you are looking for a gun a cut above some of the other budget-priced 1911s, give the American Classic II a look. It appears to be a solid performer for under $500. Once upon a time, there was a stigma attached to Taurus pistols in terms of QC and customer service. I had to avail myself of that customer service once and, although it took a while, they fixed the problem and had the gun back to me. The company is under new ownership; we will see if that helps settle the question of improved QC/customer service. This gun has a whole lot of features for the price. Mine was reliable (it liked my SWC handloads) and was very accurate. The double-diamond grip panels worked very well, allowing the gun to remain solidly in my grip. It is available in stainless for those who prefer that finish, but the blued version’s finish seemed to hold up well. Taurus has always had (as far back as I can remember) a lifetime warranty on their guns. That policy is still in force for guns designed before Jan. 1, 2017. Guns designed after that date will have a one-year warranty. Remember, designed – not manufactured – after 1/1/17. So, since the PT1911 has been around a while, it carries the lifetime warranty. I always feel I should explain this when I write about a Taurus gun, since the policy has changed. One nice thing that Taurus does is include a one-year membership in the N.R.A. with the purchase of a new gun…I wish more companies would do that. If you are looking for a fairly-well equipped 1911 with several features included that used to cost extra, give the Taurus a look. You tend to get a lot for your money with a Ruger. They are overbuilt, with very close tolerances. Their 1911 is no different. 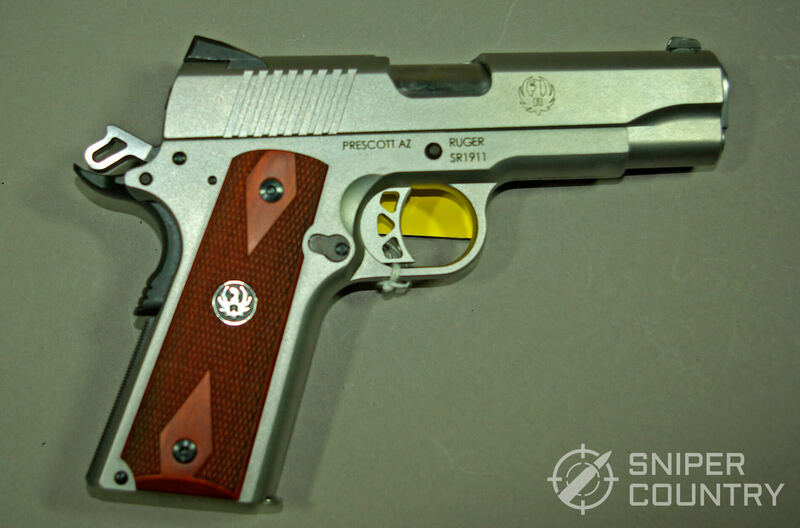 The SR1911 comes in a few different flavors – Government (5”), Commander (4.25”), Officer (3.6”), 9mm and 10mm. 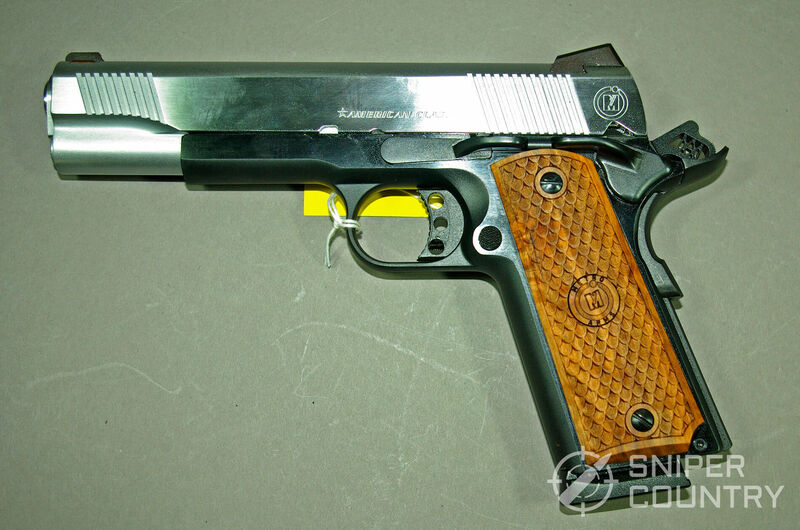 I listed the .45ACP model because that’s what we’re looking at in this little discussion. 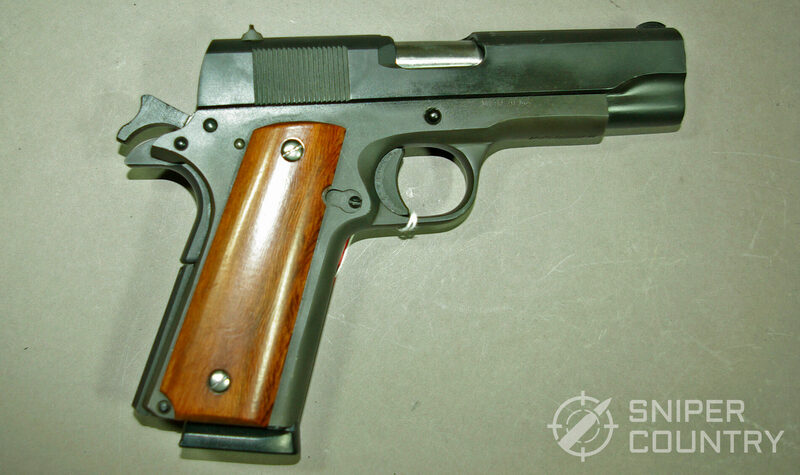 The SR1911 is a platform that is available in several different versions as noted above. I talked to a guy in Duane’s shop a while back that owned one in .45 and he was going to get 10mm to go with it… a matched set, I guess. The thing is that if you are familiar with one SR1911, you’re familiar with all of them. You could extend that familiarity to seventeen different models of SR1911s, counting all barrel lengths, distributor specials and target/competition guns. That’s a passel of pistols! If you want an adjustable rear sight, no problem. Three-point-six inch Officer-style gun? Two to choose from. Commander-length barrel? Seven. Target-style? 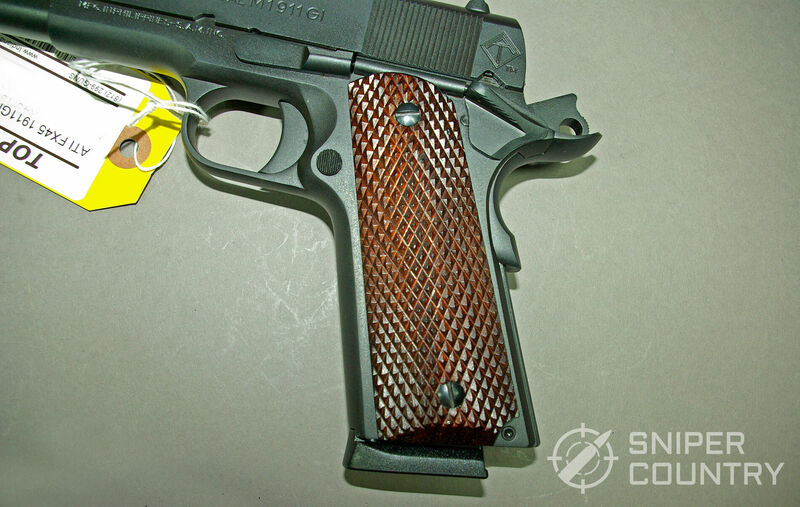 There are target-tuned 1911s in 9mm, .45ACP and 10mm calibers. 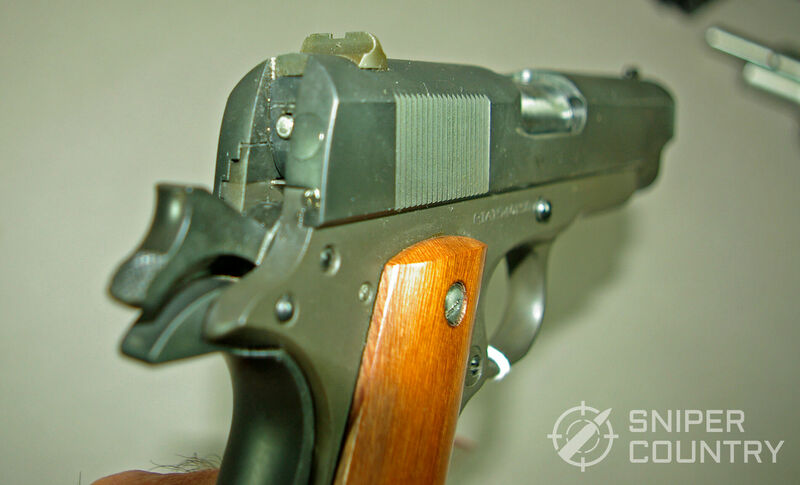 OK, you get the point – the SR1911 line is fairly extensive. With Ruger’s typical attention to detail and excellent customer service, you have a winner no matter which way you turn with the SR1911. 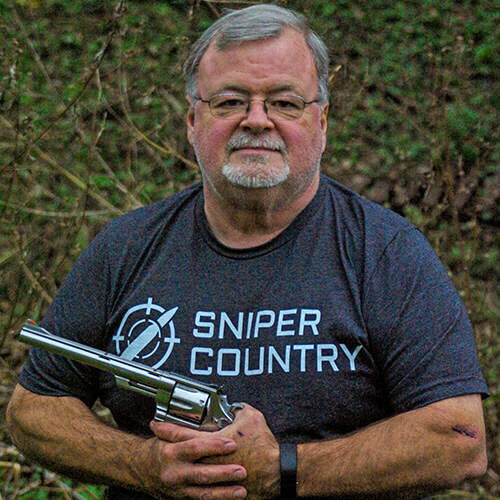 I have never had a bad Ruger (at least not a bad one that started out that way… I have caused some problems that were not the fault of the gun). 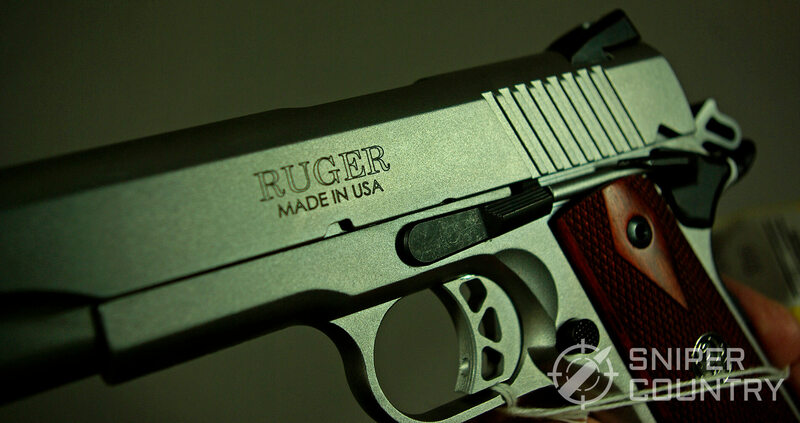 I have owned more Rugers than any other brand of handgun, so I speak from experience. I do think you get a gun that performs above its price point with this brand. So, you want a 1911 but don’t have tons of greenbacks to hand to the guy behind the counter? No problem. Any of these guns should do well for you. I have my favorites, but I won’t mention them so as to keep this as objective as possible, Just remember that if you buy a budget 1911, it may kindle the all-too-common “1911 bug” within a lot of shooters that makes you want to start collecting these guns. The budget arena is a great way to introduce yourself to the world of the 1911. You will soon want others in different calibers, barrel lengths, finishes, with different features, etc. but there are so many good choices out there you shouldn’t have any problem finding what you want. 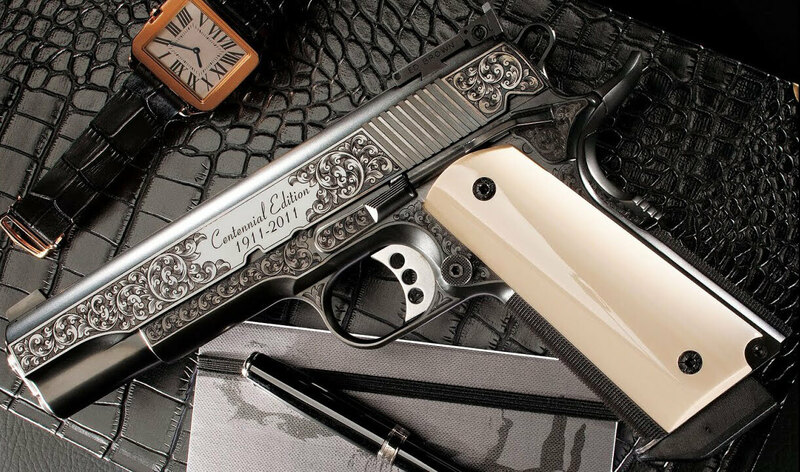 One hundred and seven years young, the 1911 is stronger now than ever and shows no signs of changing that status. Give one a try and I’d bet you’ll be hooked. Have fun with it! Thanks for the kind words! If there’s one thing I’ve learned about 1911s, it is that they will never totally go away in no small part to their ability to be customized. You basically built your own guns and it sounds like you have quite a collection. Talking about WWII guns, hopefully those WWII 1911s will be coming through the CMP soon – now THAT would be a 1911 to have! Good job on all of yours! Rugers are amazing! I’m glad you got it back – I would be sick if that happened to me. In my new article on .44 Magnums, I give the Super Blackhawk a great review. I owned one once myself. Again, glad yours came home!